Navel-gazing sessions and working at a big B2B company have always gone hand-in-hand. But it looks like many of the big B2Bs are getting it all wrong when it comes to brainstorming key messages and positioning statements that will resonate with their customers. You might say, as did the Captain in the movie classic Cool Hand Luke, to Luke: What we’ve got here is (a) failure to communicate. According to an in-depth B2B brand building study by McKinsey&Company involving Fortune 500 and DAX 30 companies and over 700 executives across six sectors, many of the brand messages customers value most are least mentioned by the companies they buy from. the brand theme customers consider to be most important from their suppliers is “honest and open dialogue.” But sadly this theme was not emphasized at all by the 90 companies included in the survey’s final sample. Several years ago at a navel-gazing session I participated in while working at a global PR agency, we looked at the key messages and positioning statements of our five largest competitors. The team was asked to review the brand themes and key messages of the competing global agencies and to compare them with those of our firm. As you might imagine, it was difficult to determine one firm from the next. 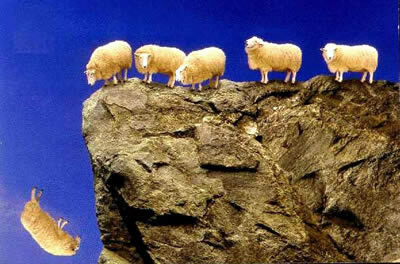 The follow the herd mentality is also prevalent, it turns out, among global B2B companies. According to the survey: our analysis showed a surprising similarity among the brand themes that leading B2B companies emphasized, suggesting a tendency to follow the herd rather than create strongly differentiated brand messages. The McKinsey authors — Tjark Freundt, Sascha Lehmann and Philipp Hillenbrand — give props to the IBM Smarter Planet branding campaign as a truly differentiating effort, one that communicated distinct and powerful external and internal themes that connected with the company’s range of key stakeholders — marketing, sales and R&D employees, customers and other influencers. As the folks at McKinsey advise, global B2B companies would be wise to closely monitor shifts in their markets and among their customer base and work harder to better align their brand themes with the changes.